Trump has threatened to leave the North American Free Trade Agreement. MEXICO CITY — Mexican President-elect Andres Manuel Lopez Obrador on Tuesday released a one-page letter from Donald Trump in which the U.S. president urged a speedy renegotiation of the North American Free Trade Agreement. Trump warned there could be a much different route should the discussions drag on. In the past, he has threatened to cancel NAFTA. Representatives from Mexico, Canada and the U.S. are set to meet in Washington on Thursday to resume the trade talks. 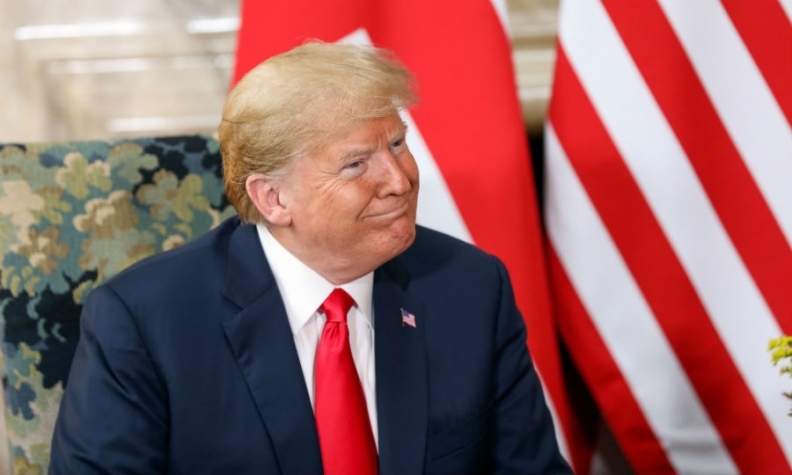 The U.S. leader said in the letter dated Friday that he believes a successful NAFTA renegotiation will lead to more jobs and higher wages for both Mexico and the U.S.
"Both of our countries benefit from an economically prosperous North America," Trump wrote. Mexican Foreign Minister Luis Videgaray and Economy Minister Ildefonso Guajardo are slated to participate in this week's talks, accompanied by Jesus Seade, a World Trade Organization veteran tapped by Lopez Obrador as his future chief trade negotiator. Lopez Obrador, who is to take office Dec. 1, said members of his transition team will act as observers at the discussions. After reading the letter from Trump out loud, proposed foreign minister Marcelo Ebrard expressed hope that new trade terms can be reached reasonably soon, with all three countries in the agreement. Sticking points in the talks include U.S. insistence on a sunset clause that would force renegotiation of the agreement every five years and disputes over parameters for the automotive industry. The U.S. is angling for higher North American content in vehicles and for production to favour jurisdictions that pay more than $16 an hour, which is over five times the hourly wage for most Mexican auto workers. Trump also wrote that he has directed his team to redouble efforts with members of Lopez Obrador's team to address trade, migration, development and security, four priority issues for both countries. "Like you, I believe that meeting the challenge of illegal immigration involves more than just strong border security,” Trump wrote, referring to Lopez Obrador's professed aim of improving economic conditions in Mexico and Central America so that fewer people feel the need to migrate.